RESIDENTIAL WARRANTY. Cascade Windows will repair or replace any Cascade Windows brand vinyl window or door (“Product”)1 with a defect in materials or workmanship that substantially impairs operation or performance of the affected Product for the original owner of a residence into which the Product is initially installed for as long the original owner owns and occupies the Residence. “Residence” is an owner-occupied single-family home, townhome, condominium unit or non-rental vacation home. All other structures are covered under Cascade’s Commercial Warranty. This Warranty is for Product purchased on or after January 1, 2015 and installed in a Residence. Any previous warranties will continue to apply to product manufactured prior to the effective date of this Warranty. TRANSFERABILITY. If you sell the Residence or it becomes occupied by other than the original owner, this Warranty remains effective for 10 years from the original purchase date of the Product from Cascade (“Purchase Date”). The warranty is transferable only to one subsequent owner and cannot otherwise be assigned or transferred. REQUESTING SERVICE. Cascade has no obligation unless it receives prior notice and an opportunity to perform. 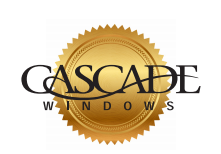 Upon discovering an issue that may be covered by this Warranty, contact the Cascade Windows Warranty Department at either (800) 442-8544, warranty@cascadewindows.com, or through the dealer or contractor from whom you originally purchased the Product. You must demonstrate qualification under this Warranty by providing: (1) Your name, address, daytime phone numbers, and proof of ownership of the property; (2) Documentation establishing product ID and date of purchase; (3) Name of the dealer or contractor that originally supplied the product; (4) Description of the problem (photos are helpful). Cascade will investigate and, for any issue covered under this Warranty, provide the labor and materials needed to repair the Product at no charge. Cascade is not responsible for repainting, finishing, repairing or replacing building materials in connection with any warranty work, or for labor and materials for the installation of a complete replacement product. If repair is not practicable, Cascade may satisfy its obligation by shipping a replacement part or product to the original delivery site or by refunding the price of the affected Product. Replacement for discontinued parts or Product will be with the current Cascade product of nearest quality and appearance. Cascade requires reasonable access to nonconforming Product and may satisfy its obligation by providing a replacement part without labor if access to the Product is not safe or practical. IMPORTANT: If a problem is found before the Product is installed, do not install the Product. DISCLAIMERS & EXCLUSIONS. This Warranty sets forth Cascade’s maximum liability for the Product and is your sole and exclusive remedy with respect to any and all losses or damages resulting from any cause whatsoever. CASCADE DISCLAIMS ANY OTHER WARRANTIES, WHETHER EXPRESS, IMPLIED (INCLUDING MERCHANTABILITY AND FITNESS FOR A PARTICULAR PURPOSE), OR ARISING BY OPERATION OF LAW, TRADE USAGE OR COURSE OF DEALING. CASCADE SHALL NOT BE LIABLE FOR SPECIAL, INDIRECT, CONSEQUENTIAL OR INCIDENTAL DAMAGES, REGARDLESS OF CASCADE’S NEGLIGENCE. Some state and federal laws do not allow the exclusion or limitation of implied warranties, incidental or consequential damages, so the above limitations may not apply to you. Where implied warranties are prohibited by law, the duration of any implied warranty is limited to the duration of this Warranty, claims must be presented in the same time and manner, and the relief available shall not exceed that stated herein. This Warranty gives you specific legal rights and you may also have other rights, which vary from state to state. In no event shall the liability of Cascade exceed the price of the Product. • Normal wear and tear; natural weathering/fading of surfaces or hardware finishes; corrosion in highly corrosive environments (e.g. Hawaii, any structure within two (2) miles of saltwater); or the effect of use of harsh chemicals (e.g. brick wash) or abrasive cleaners to clean windows or adjacent construction. • Failure due to misuse, abuse or inadequate maintenance; product damage; alteration or modification to the window (e.g. post-sale application of tints or films, paint finishes, improperly installed security systems, blinds, field-mulls); or as a result of any cause beyond the control of Cascade Windows (e.g. acts of nature, environmental factors, third parties). • Painted surfaces, except for 10 years from Purchase Date Cascade will repaint surfaces painted by Cascade prior to delivery that significantly crack, pit, peel, blister, or suffer from non-uniform fading discoloration not due to environmental factors. • Failure due to improper handling or installation not in a good workmanlike manner and conformance with industry standards; problems related to water or air infiltration around the window, mold or mildew, flaws in building design or construction, sloped glazing or other non-vertical installation; glass breakage. • Gaps at joints or terminations designed to accommodate component expansion or resulting from component contraction that do not affect operation or performance of the window. • Any effect related to installation into a condition that exceeds product design standards, certified performance specifications, or not in compliance with building codes (including egress and fall prevention); or damage from settling or movement of the home. • Condensation, unless due to insulating glass failure. Condensation problems are related to excessive interior humidity levels; contact a heating/air conditioning specialist for help. • Light or heat reflection off of Product. • Fill or retention levels of gases inserted in the inner space of insulated glass units. • A variance in performance from values based on laboratory testing (e.g. AAMA, NFRC). Product components and manufacturing processes have an inherent range of tolerances and many external factors can affect performance, such as installation, building movement, abuse and lack of maintenance. • Product for which Cascade has not been paid, or Product sold by Cascade as clearance items, seconds, blemished, or in “as is” condition. Only an officer of Cascade has the authority to modify or expand this Warranty, which must be in writing. The party purchasing the Product directly from Cascade understands that it is bound by these terms and agrees to provide this Warranty to its purchaser for delivery to the original owner of the structure into which the Product is installed. Contact us at www.cascadewindows.com or (800) 442-8544 if you have any questions, or for additional information including care, maintenance and installation instructions. Cascade Windows vinyl windows and patio doors are manufactured by Window Products, Inc. and marketed under the Cascade Windows brand name for use in the United States. COMMERCIAL WARRANTY. Cascade Windows will repair or replace any Cascade Windows brand vinyl window or door (“Product”)1 with a defect in materials or workmanship that substantially impairs operation or performance of the affected Product for the original and subsequent owners of a Commercial structure for 10 years from the original purchase of the Product from Cascade Windows. “Commercial structure” includes all structures other than an owner-occupied single-family home, townhome, condominium unit or non-rental vacation home. Should an ambiguity or conflict arise between this Warranty and any term of project-specific documents signed by Cascade Windows, the terms and intent of the project-specific documents shall control. This Warranty is for Product purchased on or after January 1, 2015 and installed in a Commercial structure. Any previous warranties will continue to apply to product manufactured prior to the effective date of this Warranty. You must demonstrate qualification under this Warranty by providing: (1) Your name, address, daytime phone numbers, and proof of ownership of the property; (2) Documentation establishing product ID and date of purchase; (3) Name of the dealer or contractor that originally supplied the product; (4) Description of the problem (photos are helpful). Cascade will investigate and, for any issue covered under this Warranty, provide the labor and materials needed to repair the Product at no charge. Cascade is not responsible for repainting, finishing, repairing or replacing building materials in connection with any warranty work, or for labor and materials for the installation of a complete replacement product. If repair is not practicable, Cascade may satisfy its obligation by shipping a replacement part or product to the original delivery site or by refunding the price of the affected Product. Replacement for discontinued parts or Product will be with the current Cascade product of nearest quality and appearance. Cascade requires reasonable access to nonconforming Product and may satisfy its obligation by providing a replacement part without labor if access to the Product is not safe or practical. IMPORTANT: If a problem is found before the Product is installed, do not install the Product. Normal wear and tear; natural weathering/fading of surfaces or hardware finishes; corrosion in highly corrosive environments (e.g. Hawaii, any structure within two (2) miles of saltwater); or the effect of use of harsh chemicals (e.g. brick wash) or abrasive cleaners to clean windows or adjacent construction. Failure due to misuse, abuse or inadequate maintenance; product damage; alteration or modification to the window (e.g. post-sale application of tints or films, paint finishes, improperly installed security systems, blinds, field-mulls); or as a result of any cause beyond the control of Cascade Windows (e.g. acts of nature, environmental factors, third parties). Painted surfaces, except Cascade will repaint surfaces painted by Cascade prior to delivery that significantly crack, pit, peel, blister, or suffer from non-uniform fading discoloration not due to environmental factors. Failure due to improper handling or installation not in a good workmanlike manner and conformance with industry standards; problems related to water or air infiltration around the window, mold or mildew, flaws in building design or construction, sloped glazing or other non-vertical installation; glass breakage. Gaps at joints or terminations designed to accommodate component expansion or resulting from component contraction that do not affect operation or performance of the window. Any effect related to installation into a condition that exceeds product design standards, certified performance specifications, or not in compliance with building codes (including egress and fall prevention); or damage from settling or movement of the home. Condensation, unless due to insulating glass failure. Condensation problems are related to excessive interior humidity levels; contact a heating/air conditioning specialist for help. Light or heat reflection off of Product. Fill or retention levels of gases inserted in the inner space of insulated glass units. A variance in performance from values based on laboratory testing (e.g. AAMA, NFRC). Product components and manufacturing processes have an inherent range of tolerances and many external factors can affect performance, such as installation, building movement, abuse and lack of maintenance. Product for which Cascade has not been paid, or Product sold by Cascade as clearance items, seconds, blemished, or in “as is” condition.